Solstice®ze (R-1234ze) and Solstice®zd (R-1233zd) fluids developed by Honeywell are already in widespread use in chillers around the world. Successfully approved by compressor manufacturers, R-1234ze can replace R-134a fluid in air/water cooling applications and thus strongly reduce their environmental impact, thanks to its GWP of less than 1. R-1233zd (categorised as A1) is designed to replace R-123 in low pressure centrifugal chillers and in organic Rankine cycles with its GWP of 1. In terms of high-pressure cooling applications, Solstice® L41y (R-452B) is now available on the market to replace the current R-410A and R-407C fluids. Solstice® L41y (R-452B) is an A2L refrigerant with a global warming potential (GWP), 65% lower than that of R-410A. 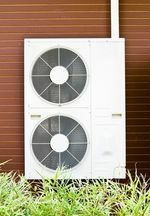 Its application is not just restricted to chillers, as it can also meet the needs of heat pump and air conditioning manufacturers (Split, VRF, Rooftop, etc.). Equipped with a similar efficiency and capacity to R-410A, R-452B allows OEMs to quickly transition their R-410A equipment to a lower GWP product while minimising re-design costs and capital expenditure. For specific applications such as heat pumps used for tumble dryers or domestic hot water production (thermodynamic water heaters), the advantage of replacing R-134a with Solstice® N13 (R-450A) is that the latter has a GWP of 547. Last but not least, there's R-32, the alternative solution chosen by the majority of manufacturers in split air conditioning systems. GWP data provided by the IPCC 5.